My wife and I just returned from a week long anniversary trip in Napa. We travel to Napa a few times a year or swing through on Bay Area trips if we have time. Its usually in and out or just a couple of days. Several times we have said to each other, “We just need to come down for a week sometime”, usually because we run out of time to do the extra things we want to do. One of those things that I wanted to do was visit all the Napa area breweries. And I did. Well, sort of. A cursory Google search turned up four — Silverado Brewing Co., Napa Smith Brewery, Downtown Joe’s and Sonoma Springs Brewing Co. — but I learned late in the game from a local that there was another, Calistoga Inn and Brewery and I didn’t visit that brewery. I won’t bore you with details of every visit, so I’m going to talk about the two that I enjoyed the most. Obviously you will be able to figure out the others that I won’t be talking about but don’t let that deter you from ever trying them out. Every Napa brewery is worth a stop and is actually a refreshing break in wine tasting. I will start out with this observation, which will someday be a blog post in itself. Breweries, please take the time to educate your employees on the beer they are serving. When the simplest of questions get blank stares and “Um….” it’s just awkward for both of us. This epidemic is amplified in the Napa Valley. I can walk into any tasting room of any winery and the tasting room employee can tell me what kind of bird pooped on the vineyard in 2006 or the exact blend percentages of their Zinfandel. The pale ale your brewery has been making since you opened probably hasn’t changed much, or at all, so this seems like an easy task. You would think it’s tough gig, being a brewery in the middle of wine country. A David vs. Goliath type of thing. But what I found is that most of these breweries are brewing just enough for their own on-site sales, and it seems they want to stay that way. Only one, Napa Smith, is brewing on any sort of distribution scale and can be found at retail outlets outside of Napa. 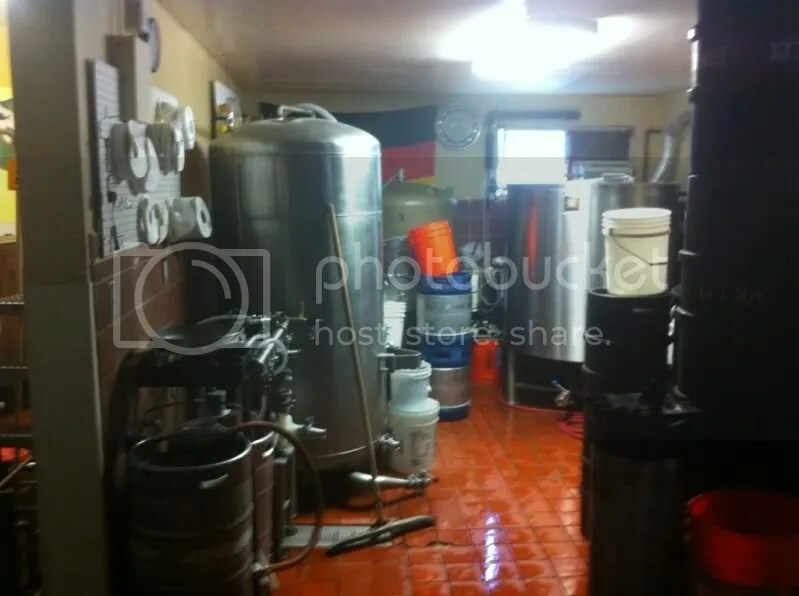 All the other breweries aside from Napa Smith are brewing an 6 to 8 bbl systems, including Calistoga Inn, according to their website. So before you think these guys are attempting a beer revolution in the Napa Valley, think again. There is a very serious movement ensuring that the wine culture is preserved there. That doesn’t mean you can’t start a brewery, it just means that nobody is going to let you take up 10 acres to build a water slide park. Everyone knows what side the bread is buttered on in the Napa Valley. Everywhere you look, you see the riches that wine has brought to the area. Napa Smith is also on the side of respect for the wine industry. Their first incarnation was “Napa Smith Brewery and Winery” and produced three vintages before halting wine operations. It seemed like a nice enterprise to me, at least, because I was thinking of all the things you could do with your beer once you were done with the wine barrels. But as it was explained to me, they just decided to focus their efforts on beer rather than something that has already been perfected and mass produced up-valley. Napa Smith resides in an industrial park type area where Highway 12 and 29 meet. Their tap room is situated across the parking lot from the brewery and has only been open a short time. I saddled up to the taps. It was a Friday morning, but I was on vacation and was only having tasters so don’t judge me. It was an awkward moment later when the Untappd beer tracker app posted on my behalf to Facebook the “Top of the Mornin'” badge. “Drink 5 beers before noon” it claims. 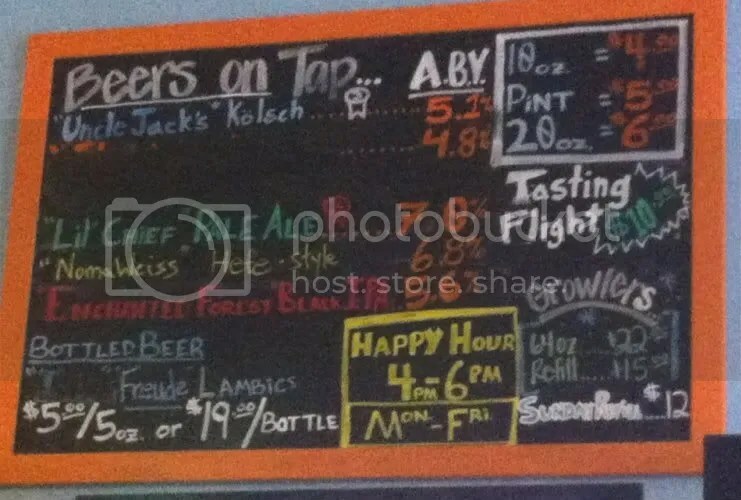 I ordered the full flight of tasters with ginger wheat, porter and the organic IPA missing on draft at the time. I did leave with bottled examples for later, however. 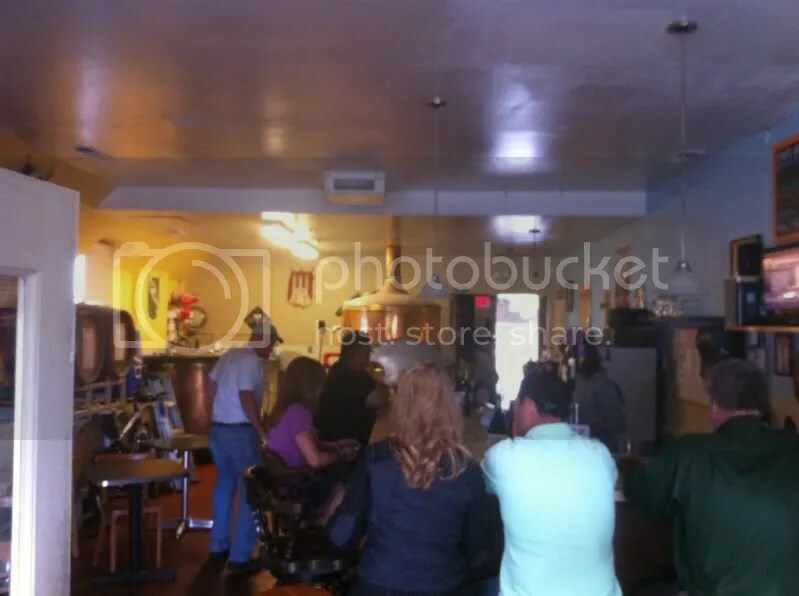 I started my questions with my usual, “What can you tell me about the brewery?” Remarkably, and for the first time since I had been in Napa, the gentleman pouring the beers began rambling history and styles and thoughts on the beer he was serving. Napa Smith is home to one of the craft beer pioneers, brewmaster Don Barkley. Don’t know Don? He began his brewing career at the legendary New Albion Brewery in 1978, attended the brewing program at UC Davis, then helped found Mendocino Brewing Company, created Red Tail Ale and Eye of the Hawk and was brewmaster there for 25 years. Oh, that Don Barkley. Napa Smith’s spin is that their beer is meant to be enjoyed with food so they have crafted each brew around that idea. This is another influence of the wine industry. You can’t open a menu in Napa without a suggested wine pairing next to a dish. Something that Napa is not so well known for is the quality of food and exploration of the culinary experience. If you are a foodie, then you surely know this but if not, you may have heard of French Laundry or the Culinary Institute of America. If you click through Napa Smith’s website, each beer description is paired with food suggestions and even recipes. Napa Smith’s offerings are fairly typical of craft breweries, but in my opinion the standouts are one of the seasonal brews and the Organic IPA. (my only regret in timing of my visit is that “Crush” is a fall seasonal — made with grapes in the brewing process) “Cool Brew” is a copper colored “hop ale”, give late additions of hops to boost aroma but not bitterness and made for summer days and picnic fare. Organic IPA won a silver at last years GABF in the English IPA category. I also visited Sonoma Springs Brewing Co. in Sonoma. They focus on west coast and German style beers and recently won two ribbons at the California State Fair. While not technically Napa, I still paid it a visit. I met up with some friends who live a block away and we walked to the brewery. What happened in the next hour is hard to describe, but it was a pleasant surprise. My first exclamation was, “Is this it?” I thought I had walked up to a hair salon, or it used to be anyway. Its that small and in a building that doesn’t say “brewery”. I fully expected to see an entire eating establishment (I did this with Napa Smith as well for some reason) but I walked inside and it dawned on me that this was a neighborhood or locals brewery. 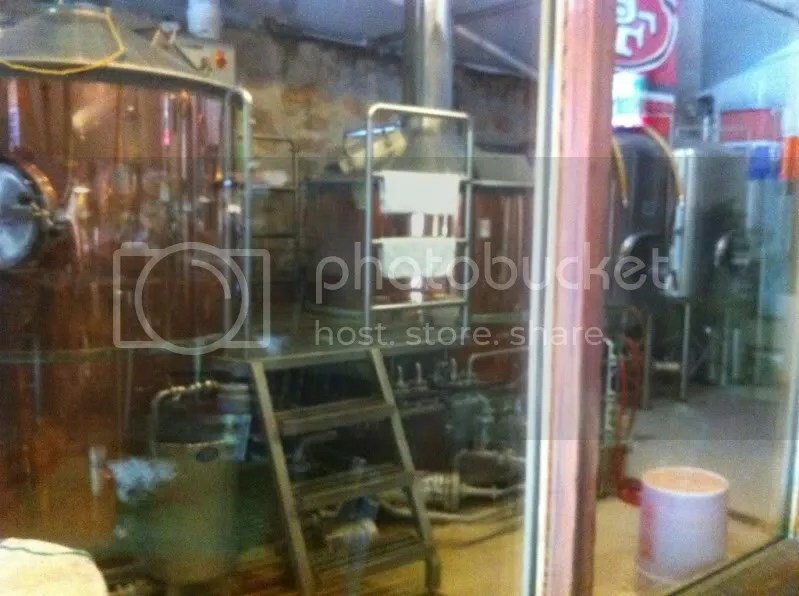 The small bar held 7 or 8 people, there was a standard refrigerator, a desk and the small brewhouse itself. I ordered a set of tasters which consisted of Uncle Jack’s Kolsch, NomaWeiss Wheat Ale, Lil’ Chief Pale Ale, and Enchanted Forest Black IPA. All these beers were delicious. A common thread I found through each was they were pushing stylistic boundaries for things like ABV, IBUs and clarity, but then us brewers are a crazy bunch and don’t like to be painted into a corner. Conformity is boring. There was a brew wrapping up, to which I assumed was typical activity for any given time but I was corrected. I walked up to the brewer who introduced himself as “Sparky”. I asked him how many brews they do in a day. He kind of chuckled and said, “About twice a week!” That’s when I realized I have no fermenters in view, and you can only fill a fermenter that is empty. 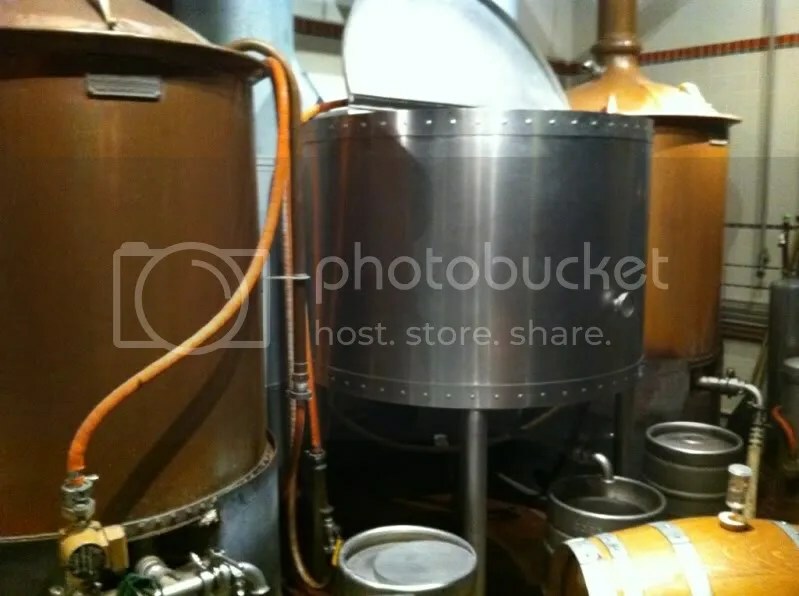 I crept around the corner to the small back room and saw four very different fermenters of varying styles that were obviously obtained at different stages of growth in the brewery. 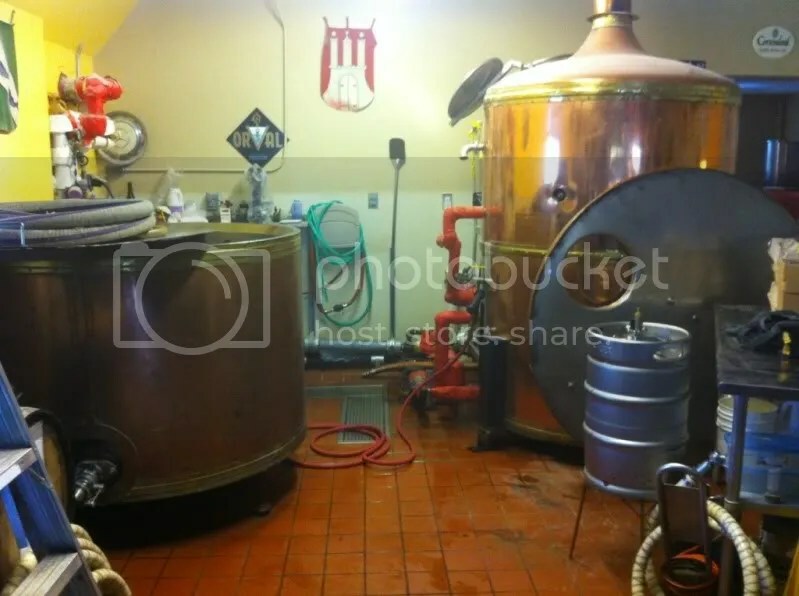 Holy cow, I thought, this place isn’t much bigger than a nano-brewery. If there is anything to take away its these two points. Not every brewery wants to become Sierra Nevada in scale and distribution as I saw with three of the four breweries. Not a bad goal, but not necessary to be successful or viewed with respect. Lastly, not every craft beer lover is a drinker of wine. If you fall into this category and you are invited to the Napa Valley, you now know its not all about the wine and you can enjoy yourself also.